Achieving a more beautiful smile is a goal that is shared by many, with most patients working hard to keep the teeth healthy and attractive in order to create a smile that is bright and appealing. However, patients must consider that the teeth are only one aspect of the smile. The gums also play an important role in creating that ideal appearance. If the gums are uneven or if there is an abundance of gum tissue, it can distract from the beauty of the teeth and compromise the overall appearance of the smile. Tissue recontouring can change the shape of the gums and create a more aesthetically pleasing proportion between the teeth and gums. For those of our Chicago patients who are laser gum contouring candidates, Dr. Jessica T. Emery is happy to provide this quick, painless, and effective cosmetic treatment. Laser gum contouring is a quick and virtually pain-free procedure that involves minimal recovery and no downtime. Because the entire procedure is performed with the use of just a topical anesthetic, it is a safe option for most patients. It is ideal for patients to have healthy teeth and gums prior to undergoing laser gum contouring, so if Dr. Emery has any concerns regarding oral health she will schedule appropriate treatment before moving forward with tissue recontouring treatment. In all cases, Dr. Emery will make the final decision regarding whether a patient is a good candidate for laser gum contouring. She will make this decision based on an examination of the teeth and gums and a discussion with the patient regarding their aesthetic desires and expectations regarding treatment. Laser gum contouring offers patients many benefits, which include a more balanced and even smile, as well as more visually appealing proportions between the teeth and gums. For some patients, creating this balance and symmetry is all that is needed to create a beautiful smile. However, some patients find that once more of the tooth structure is revealed, further enhancement is required. Many patients who have undergone laser gum contouring are also ideal candidates for porcelain veneers. Porcelain veneers can improve tooth color and shape to ensure that patients have a set of straight, even, attractive teeth to complement their newly improved gum line. 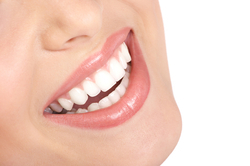 Dr. Emery is happy to answer any questions patients may have regarding porcelain veneers. If you have a goal or a vision of a more healthy and attractive smile, Dr. Jessica T. Emery can help you obtain that goal. With a range of general, cosmetic, and restorative dental services, we can address an array of oral concerns to help you restore health, function, and beauty to your smile. If you’d like to learn more, contact us for more information about our comprehensive dental care services. We look forward to hearing from you!